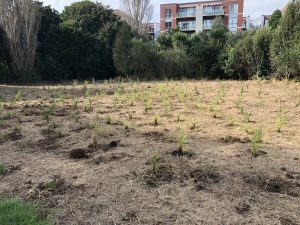 Meola Creek » Blog Archive » STEPS Successful 2018 Planting! 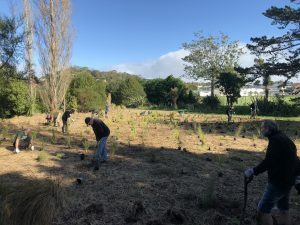 Saturday 19 May was a fine morning for the historic planting of the Roy Clements Treeway meadow. Sel, Mac, Dennis, and Trevor transported plants; Nick laid them out and we all dug holes. 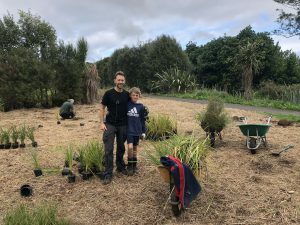 Stanley, Freddie, Liz, Neil, Venus, Derryn, Bojan were later helped by Rowan and Lochie, along with a Euston Road family of mum Karen and her two girls on bikes who (assisted by Pat’s refreshments) brought new energy and purpose to help complete the work by 12.30. 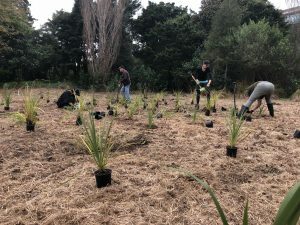 Tawhirimatea played a part by providing showers and mists for the plants in the afternoon. 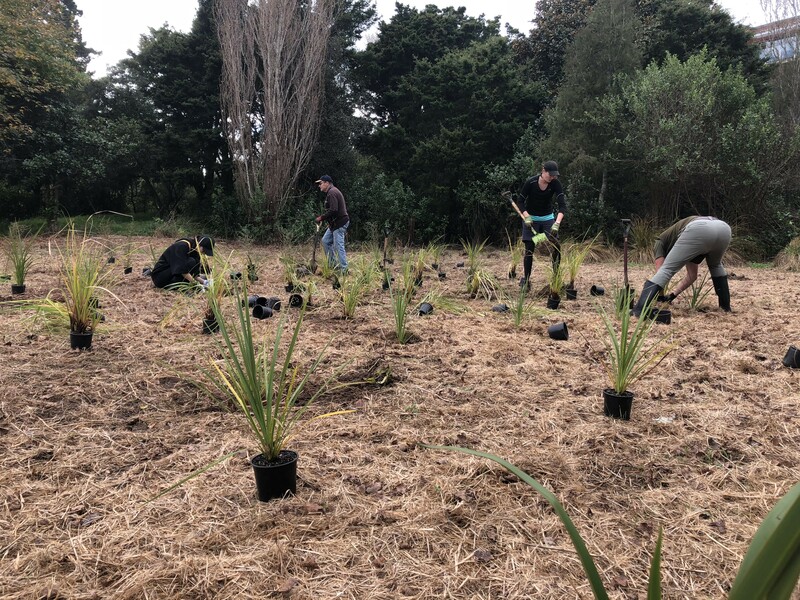 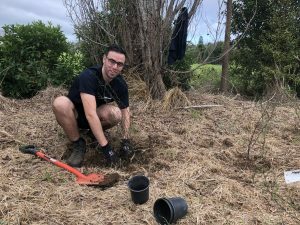 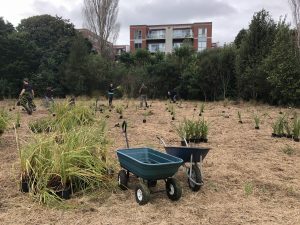 By growing ti Kouka, harakeke, manuka, mingimingi, pohuehue, upokotangata and purei we expect the soil will improve and hold more water over time. 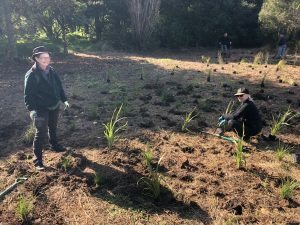 This will improve the ‘sponginess’ of the Waititiko- Meola catchment and reduce the amount of oil used in mowing Auckland’s parks. 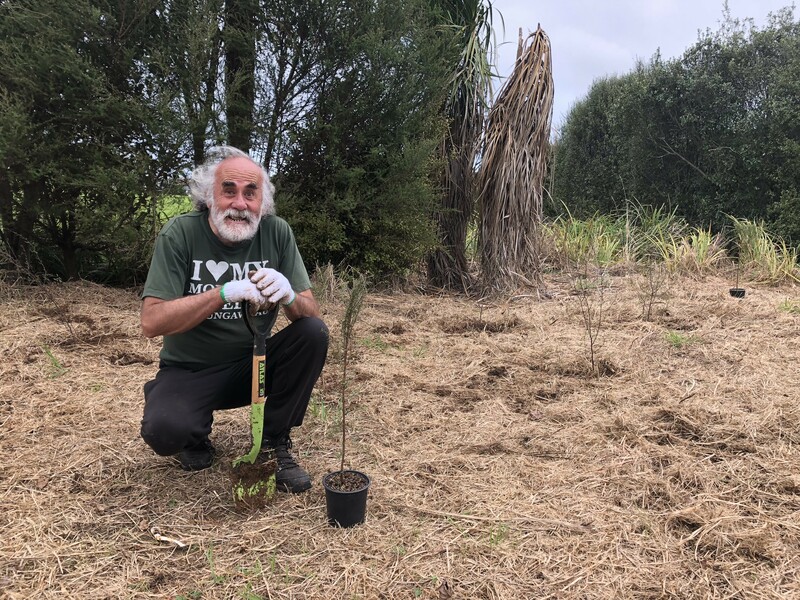 Thanks to all – Whakawhetai kit e katoa, for a fun morning. Coming events: We will hold another planting at the entrance over the next few weeks – watch our web site or facebook for details.